J.T. 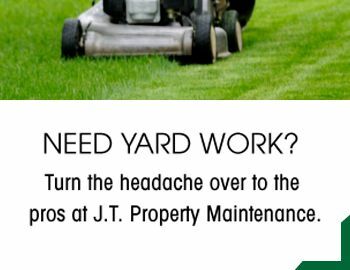 Property Maintenance arrives at your property when you need us most, for everything from snow removal to grass cutting in Barrie. You never have to wait around for our team to show. We follow your schedule and meet your deadlines. Whether you’re a residential or commercial property, you can count on excellent pricing and quality work. Annual, seasonal, monthly, and one-time contracts available. Year-round Bobcat (skid steer) available for hire.